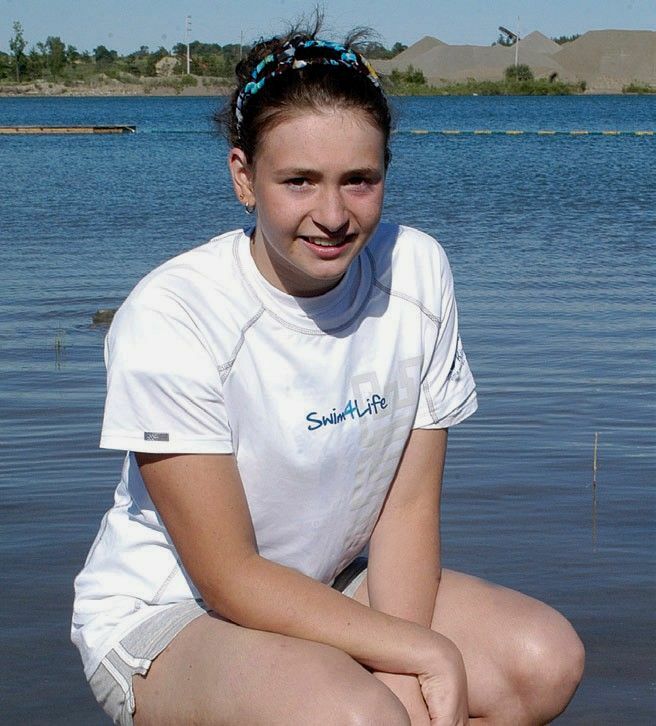 From the CBC.ca: A 15-year-old from Bolton, Ont., has her sights set on becoming the youngest person ever to swim solo across Lake Ontario. Jade Scognamillo set two records last year on neighbouring Lake Erie. She's now both the youngest and the fastest to cross the lake. This year, she wants to take on the lake and the route that made Marilyn Bell a household name in Canada. "There's no point in sitting around saying, 'Oh I really want to do this' and not actually doing it. So just pick a goal. Go out and do it. Simple as that," said Jade. The 15-year-old's dip into the water at Niagara-on-the-Lake was supposed to happen on Friday night at 8 p.m. ET, but the start has been pushed back to Monday in the hope the weather will improve. Her goal is to swim the 52 kilometres and land sometime on Saturday at the park named for Bell, who at age 16 became the first woman to accomplish the 52-kilometre crossing 55 years ago. Bell made the journey in 1954 when she was just 16 years old and became a national celebrity. Since then, hundreds have tried to make the crossing with varying results. "It's not something people do every day," said Jade as she prepared for the swim. "It's something that will turn heads and help me raise money for Sick Kids hospital." The marathon swimmer says she hopes to raise $70,000 so the Hospital for Sick Children in Toronto can buy a new incubator, but she also says it is a challenge that she has bee anticipating for a few years. "I wanted to swim Lake Ontario since I was 10 or 11," she said. Her mother says Jade is "definitely capable of the distance. She's very strong. She's trained hard." But the reaction was a lot different when Jade first asked for permission to attempt the crossing. "I probably cried for about a month at night and I didn't giver her an answer straight away because I didn't really want her to do it," she said. ----------------------- For more information about her Lake Ontario Swim you can check our her website by clicking here.